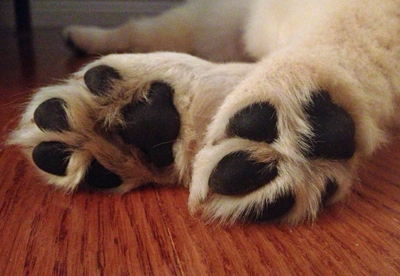 Does your pet have a glittering personality? 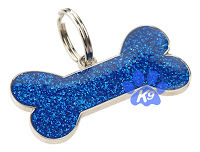 Choosing a pet id tag that matches your pet's special sparkle is a lot of fun! 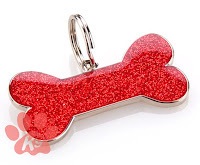 PetBling.ca specializes in all sorts of glitter id tags for your dogs and cats. 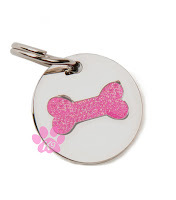 Particularly popular are our glitter bone id tags. 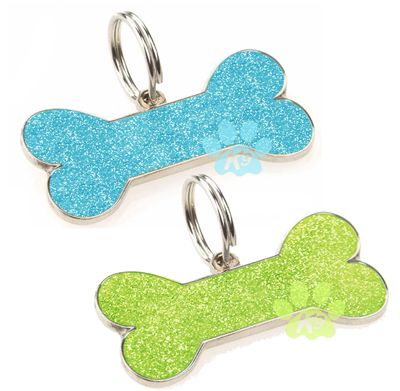 Two new gorgeous colours of glitter bones are now available - lime green and sky blue. These designer pet id tags look adorable on puppies and small dogs and are the perfect combination of practical and pretty! 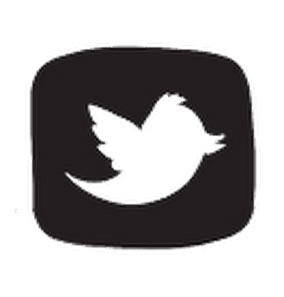 The tags allow for two lines of custom engraving to help your furbaby return home should she ever become lost. 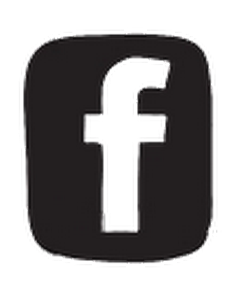 As well as lime green and sky blue, the tags are also available in red, brilliant blue, purple, pink and glow-in-the-dark. How can you choose just one! 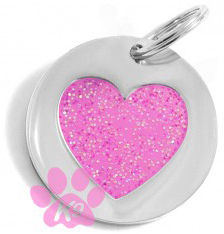 If a girly heart is what you want, PetBling.ca has two sizes of pink glitter heart disc tags. 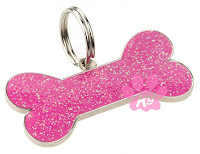 The small pink glitter heart tag is ideal for toy breeds and puppies, while the larger disc tag will suit most other sizes of dogs. 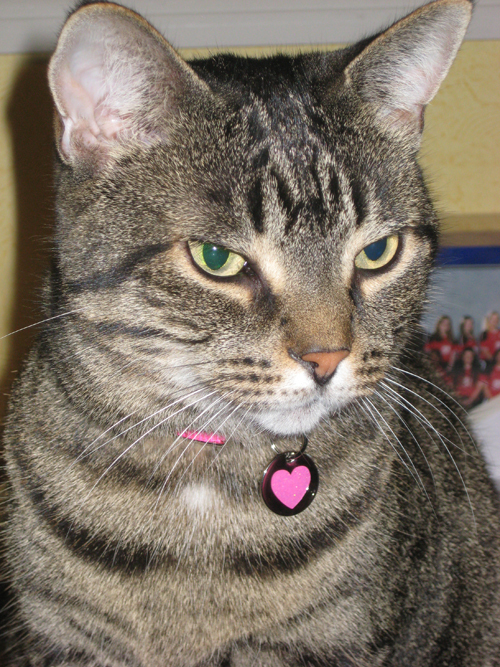 The heart tag is also a great choice for cats! Puppies grow quickly! It's common to start out with a puppy tag and then choose a larger id tag when you also need to replace your puppy's collar. It's best to choose a puppy tag that is fairly small and lightweight while your puppy gets used to wearing his collar and tag. 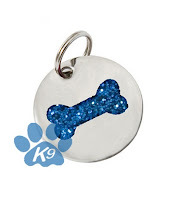 Our tiny glitter bone disc tags come in pink and blue and make an adorable choice for puppy's first tag. 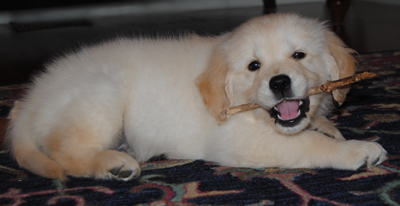 An id tag would also make a great "welcome to the family" gift for new pet parents! Wearing an id tag is necessary - have fun and choose one that shows the neighbourhood that you think your pet is glitterific! 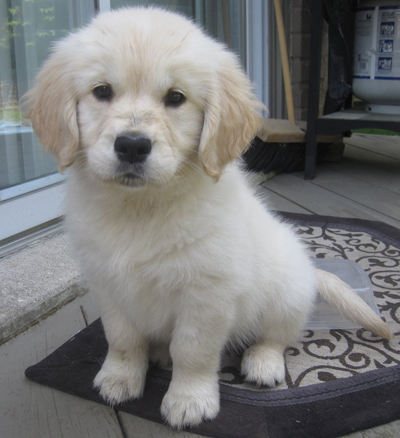 We think he's pretty adorable! Three weeks ago this little guy joined our family and now we can't imagine life without him! 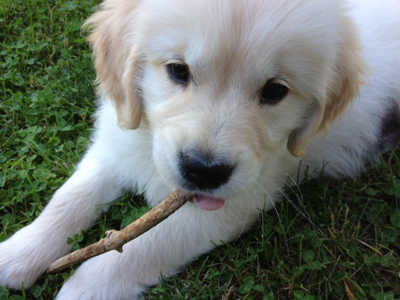 Jake's favourite things are digging, chewing sticks, playing with his toys, attacking the dogwood branches, playing with the garden hose, cuddling and meeting new people. 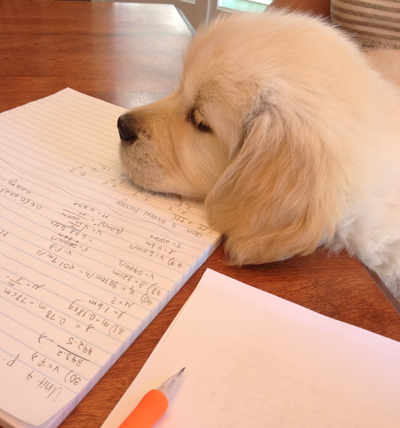 This year, Jake helped his kids study for their final exams. Jake is really excited about starting puppy kindergarten! 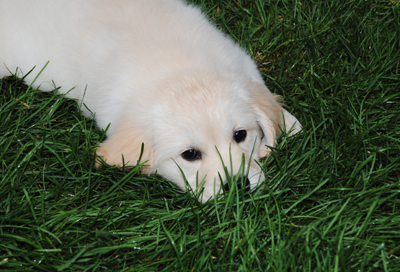 I will post more Jake updates as he grows - which seems to be happening right before our eyes!